It probably isn’t breaking news, but mobile consumers are flooding online shopping venues in record numbers. According to recent statistics, mobile devices account for a whopping 66% of all time spent on ecommerce sites as mobile adoption finds itself at an all- time high. To learn how a brand can capitalize on mobile, it’s important to understand the trends in the ecommerce sector first. Increasingly sophisticated in their mobile marketing campaigns, marketers are able to target customers based on mobile data with greater precision and increased relevance. CRM and marketing automation solutions have also increased in sophistication in recent years, giving companies additional ways to profile and reach customers through targeted initiatives like mobile advertising campaigns. The adoption of NFC (near field communication) capabilities in both IOS and android devices will no doubt continue to spur mobile ecommerce growth with novel and captivating use cases. The mobile audience may be a broad spectrum of buyers, but their purchasing patterns can provide important insight as you decide where to spend mobile marketing dollars. 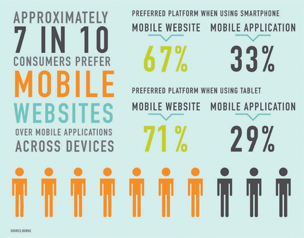 This infographic highlights the sales increase that comes from re- platforming mobile-friendly site to a native app. Wearables also represent a new mobile category with huge potential for apparel retailers, sporting good brands, and footwear. Sales are expected to reach $30.2 billion by 2018 with smart watch sales estimated reach $12.5 billion by 2018. 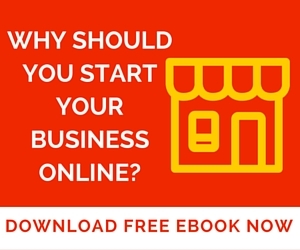 Clearly, developing or improving company’s online shopping experience on tablet devices should be a high priority if apparel and accessories business. Mobile ecommerce is shifting away from smartphones to tablets. Tablet users averaged $329 per order in 2012, while smartphone users averaged $250 per order. Overall shopping habits also reflect this increase in both order size and volume as nearly $14 billion was spent shopping from tablets with $9.9 billion spent from smartphones. That makes sense as larger screens and recreational usage patterns make for suitable conditions. As a retailer, it should continue ramping up mobile marketing efforts, but keep a close eye on optimizing the shopping experiences for tablet users.